Searching for unique and exceptional plants that could be worthy complements to the striking and curvilinear architecture of a client’s home in Carlsbad, I visited Rancho Soledad Nursery in rural Rancho Santa Fe/CA. 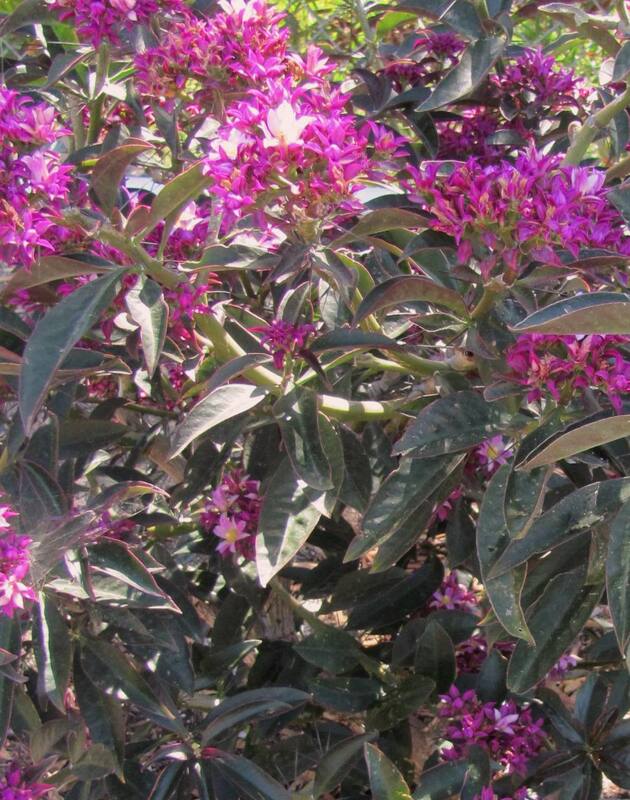 This grower specializes in unusual specimens and is responsible for many exciting plant innovations in the plant world. 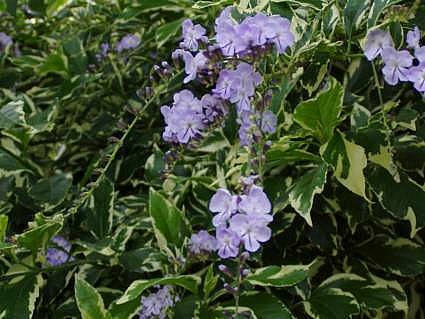 The plants that I was after would also need to fit other important requirements: They needed to be non-fussy plants, fitting into a home landscape design, and be low water landscape plants. After describing to Eric, one of the sales managers there, what I was after, he led me to a group of plants that grabbed my fantasy immediately: All had a round form of fleshy, almost leathery leave rosettes reminiscent of a pineapple plant; some had dreamy marbling and textures on their leaves while others stood out by their foliage color. Some would bloom repeatedly, and others would develop majestic flower “inflorescences” that would stand out in any garden for months. What were these, I inquired, and what were their growing requirements? Because of their striking, sometimes spectacular form these bromeliads would make great additions to any modern garden design with their forms ranging from small prickly agave-like plants, to spectacular basal rosettes open to the sky; some have narrow pointy, spiny-toothed leaves, others grow strappy ones like a New Zealand Flax, only with a softer, more arching and less stern appearance. 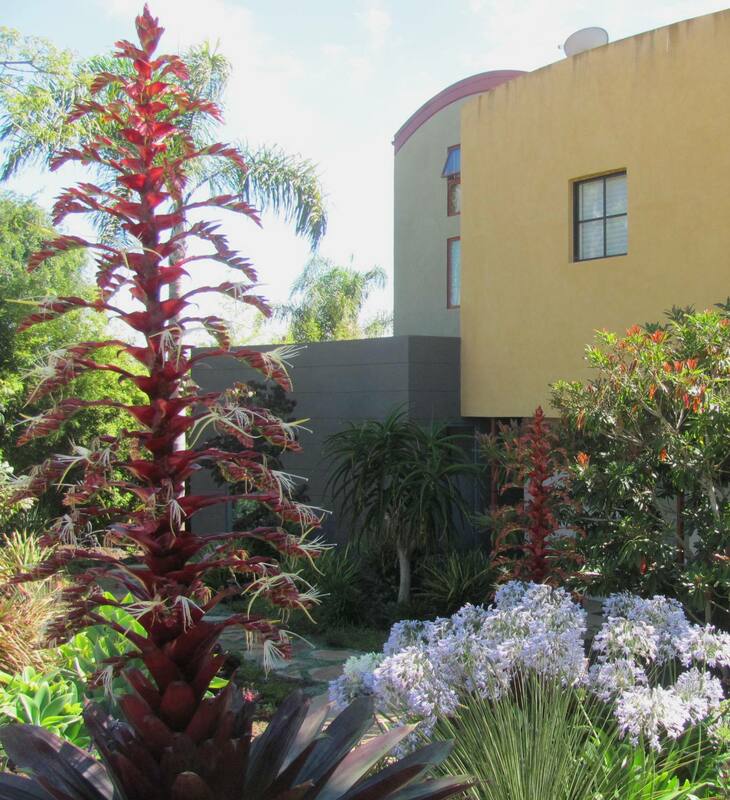 Some produce drooping clusters of showy bracts and tubular flowers; others send out an upright stalk decorated with the most striking and brightly colored inflorescence that makes a giant focal point in the landscape. 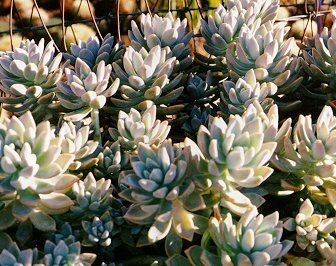 All are easy to grow, requiring well-drained soil and only average watering; it is important for water to collect in the cups or center of the rosettes. Aechmea cv. ‘Prietro’ : Its dark foliage would make an eye-catching contrast to any fleshy or feathery foliage, or a pleasing complement to any orange, red or yellow color. 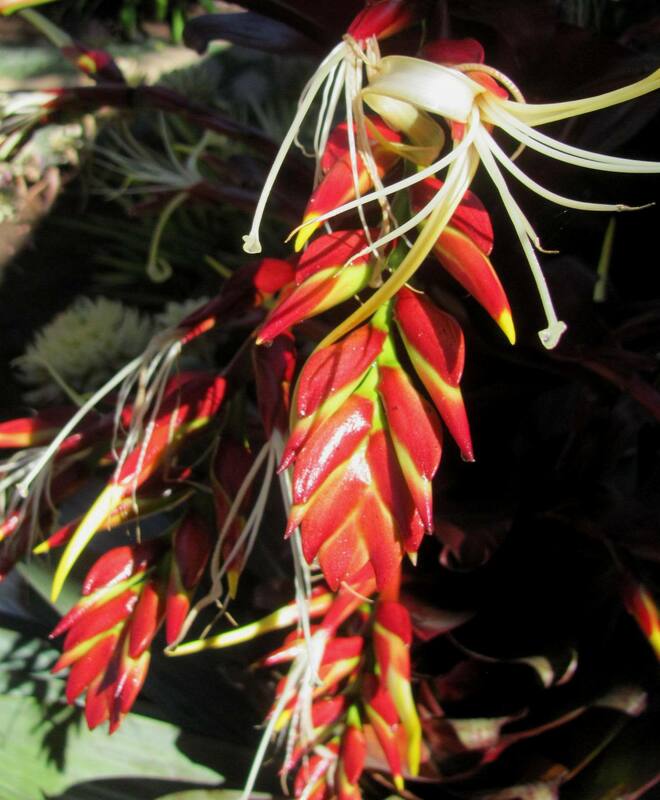 Bromeliads have great color, ranging from grey to bronze to almost black; other ones sport blades or straps from chartreuse-green to orange to flaming red. Some of them can tolerate bright hot sun (that actually brings out their flaming color) while others ones prefer the shade, perhaps under a canopy of a tree, or even on the northside of a house, under the eaves. Aechmea blanchettiana makes a fine centerpiece in this succulent arrangement. Since I have a penchant for extravagance and am always on the look-out for unusual plants, I’m happy that with these Bromeliads I have found a group of plants that will grab anybody’s attention. 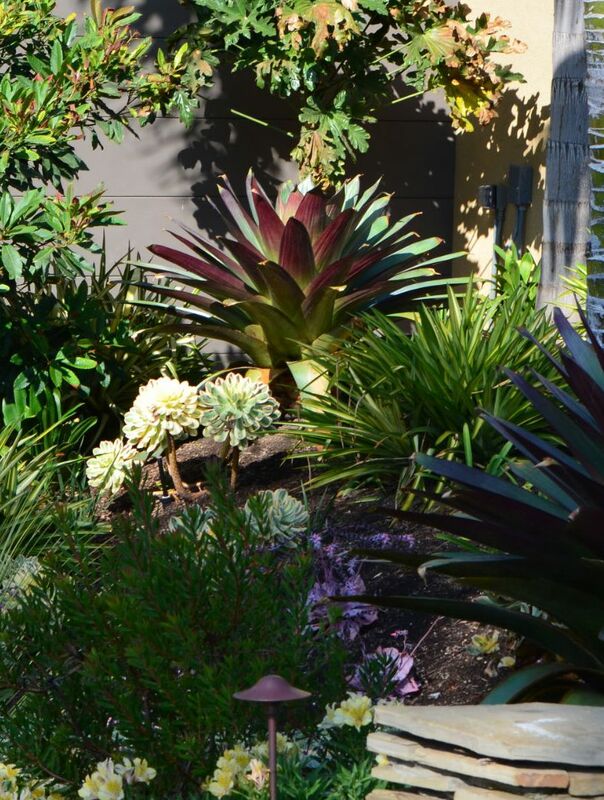 With their resilience in hot sun or dry shade and their low maintenance or water needs, they seem to fit the sustainable landscape design needs. 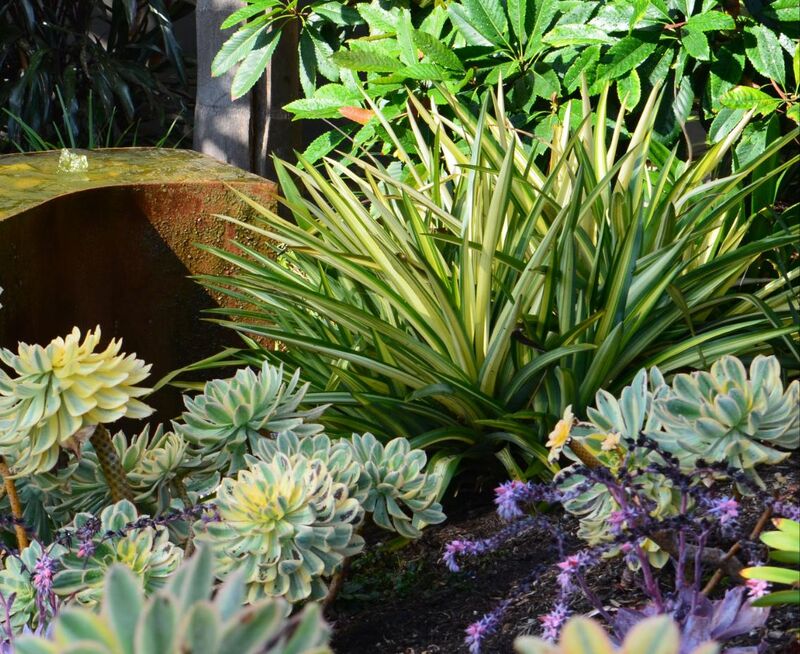 And with their strong form, their intriguing coloring and exciting textures they make upstanding elements of any landscape design that wants to stand out and hold your attention for a long time. I’m happy that these plants seem to fit the needs of any lover of plant exotics AND plant lover the bill of any sustainable landscape design and since I have a penchant for extravagance, I’m sure I’ll be using these whenever They fit into my , are tough and beautiful, and that integrate well into the sustainable landscape design. 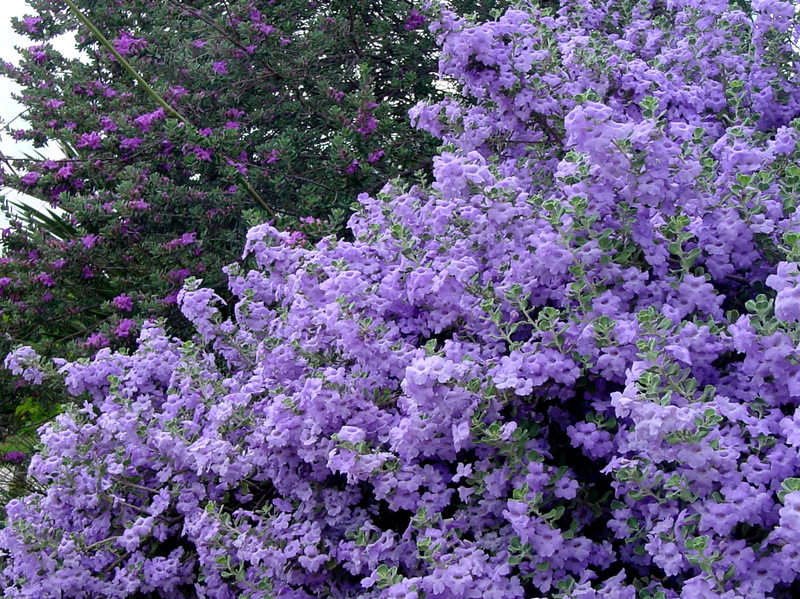 Since they perform so well in tough spaces, hot sun or dry shade, I’m sure to see more of these in my designs and expect them to perform well in difficult places, whether tough hot spots or dry shade. 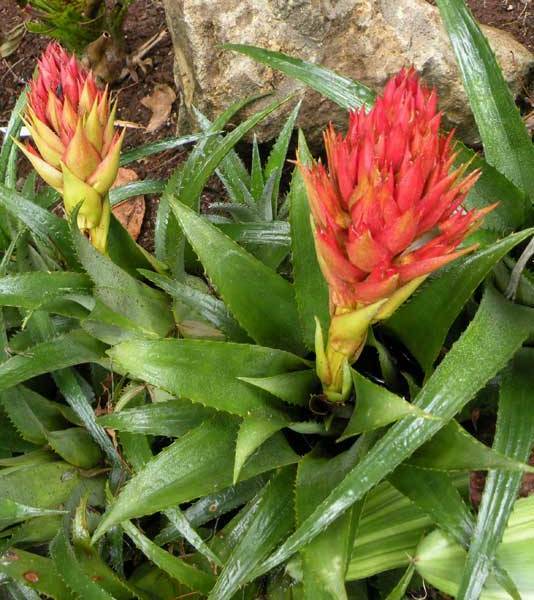 I’ll describe some of these in the 2nd part of my post “The eye-catching bromeliad – No tenderfoot in the drought resistant landscape”. San Diego Botanic Garden, Encinitas. 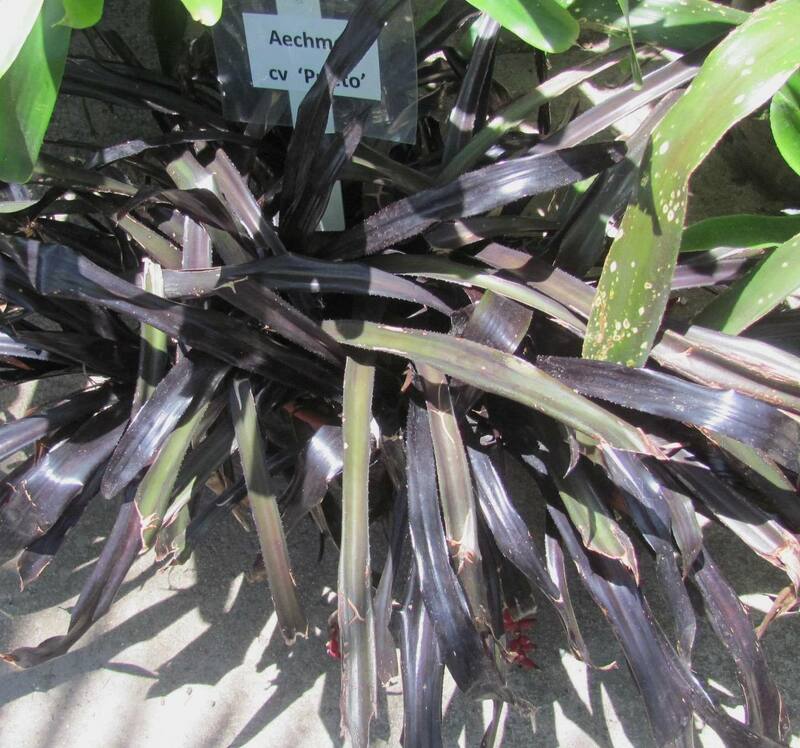 The Botanical Building (or Lath House) at Balboa Park, San Diego, features many shade loving bromeliads. 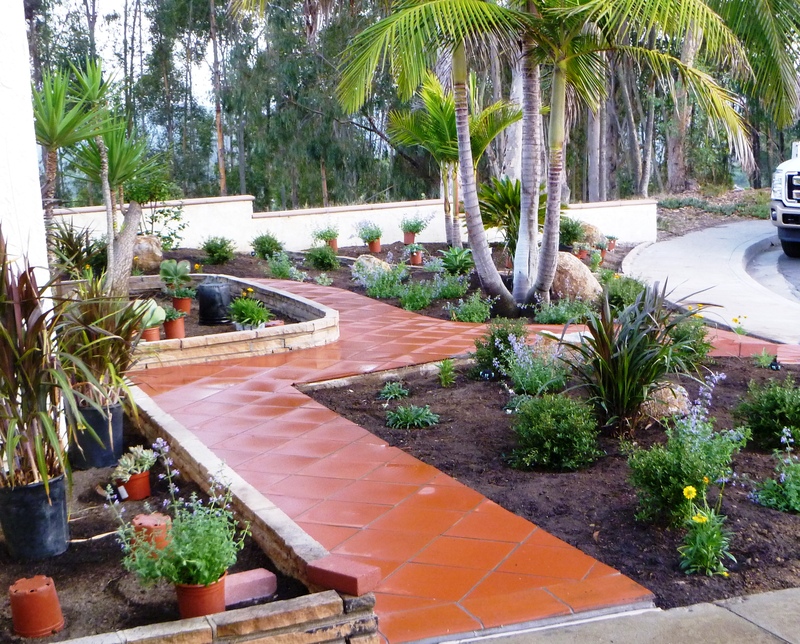 As a landscape designer in San Diego County, one of my greatest concerns when approaching a new project is water usage. We live in a desert region and have experienced years of drought. As the population of our state continues to grow, our limited water resources will become more and more strained. 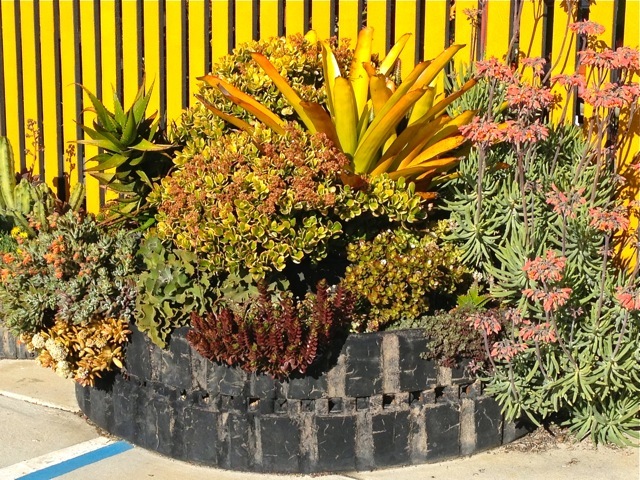 One of the ways we can cut back on water usage is with Xeriscape designs. 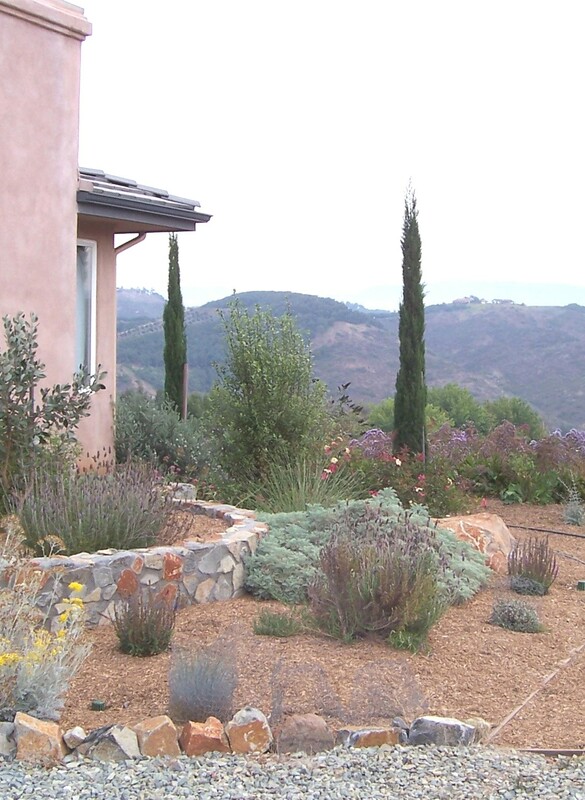 Xeriscape is a landscape design method that focuses on reducing water usage. 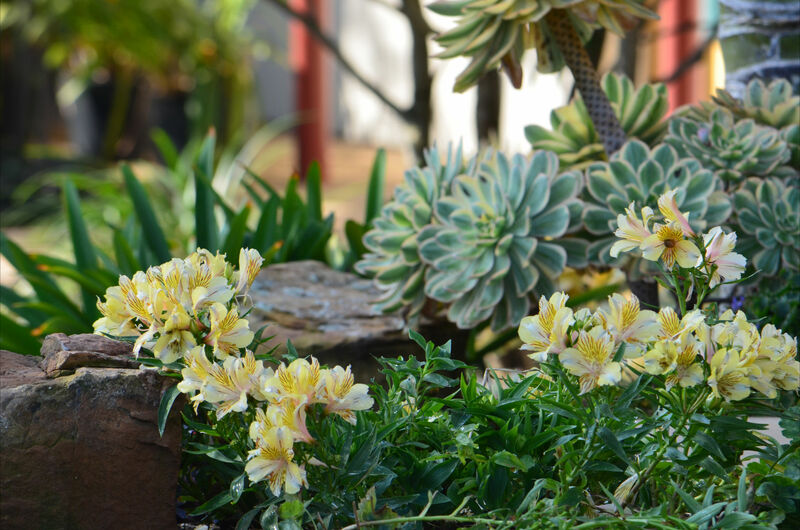 This can be accomplished by planting climate-friendly, water-efficient plants, updating to more efficient irrigation methods, putting down water-trapping mulch and more. Xeriscape is a very high priority for me. I believe in planting for the existing environment, not in spite of it. It is painful to see some homeowners and institutions who insist on creating lush, water-gulping gardens that need constant care in order to survive a harsh environment, especially when there are plenty of beautiful, healthy plants that can thrive with much less water. Fortunately, many homeowners are beginning to make water conservation a priority. 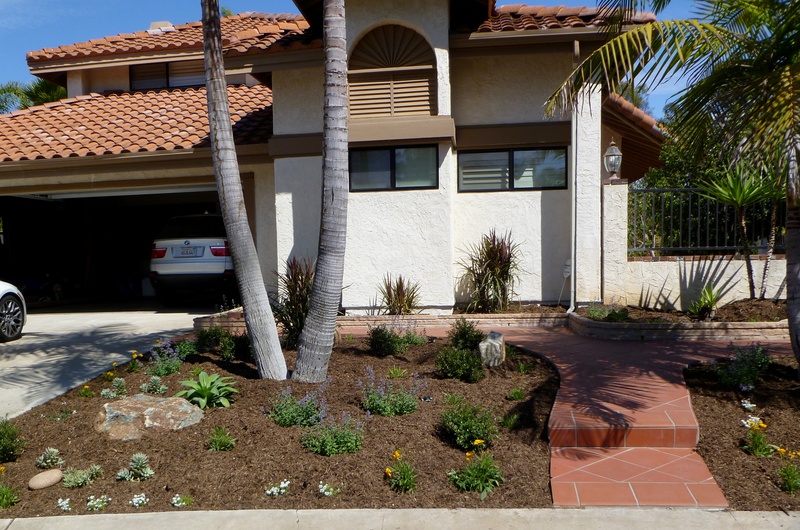 For these homeowners, low water landscaping can provide a beautiful result, cut back significantly on water usage and save water costs each month. 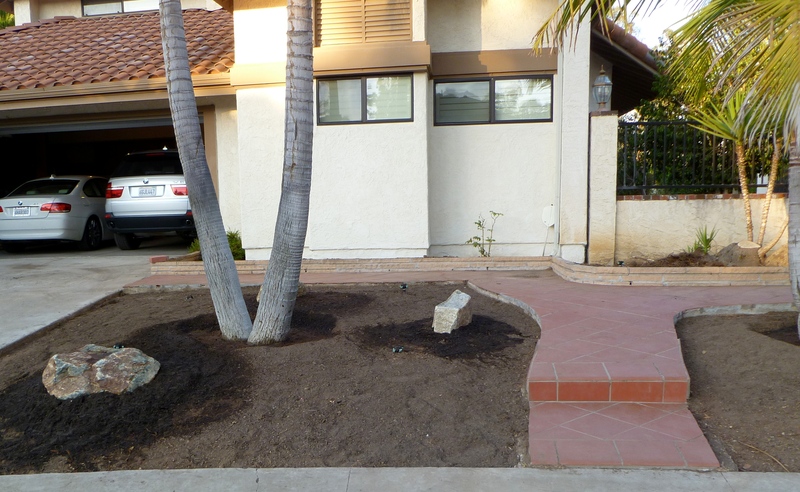 Along with proper selection and placement of plants, xeriscapes can also significantly reduce maintenance expense. 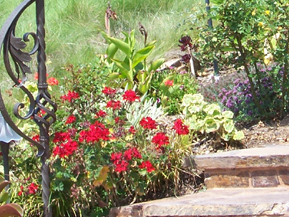 There is no singular strategy behind creating a xeriscape design. Rather, there are many different tactics that can be applied depending on the homeowner’s goal, design tastes and the specific features of their yard. 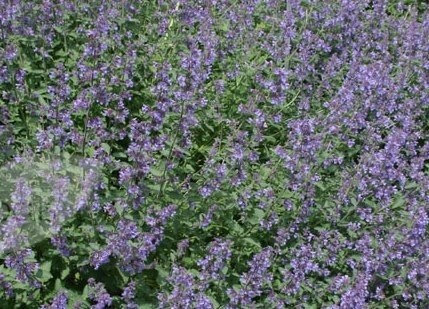 Drought-Resistant Plants: Use climate-friendly plants – California natives or plants from other Mediterranean climates. There is an incredible array of plants that thrive in Southern California’s dry environment. Soil-Plant Balance: Soil has a lot of do with water capture and retention. 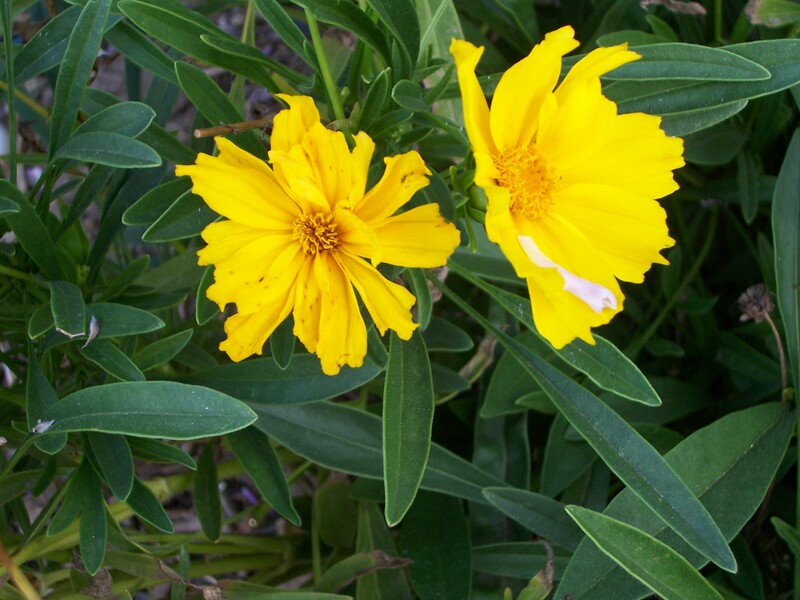 In a xeriscape, we use plants that match the characteristics of the soil. In some cases it’s advisable to improve the soil characteristics. Mulch: Mulch allows water to percolate into the soil beneath, shades the soil and helps keep plant roots moist and cool; it improves soil structure for better nutrient and water retention. 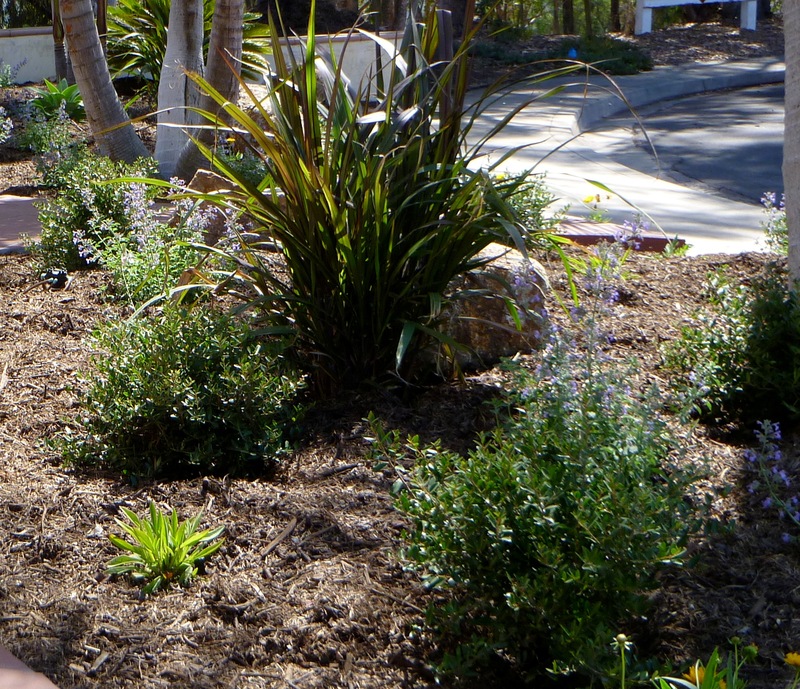 Mulch can be made from wood chips, plant grindings, gravel, rocks and many other substances, making it a versatile material that can complement different landscape designs. Efficient Irrigation: There are a variety of irrigation methods that can improve water utility. Personally, I recommend drip irrigation, a process where water is fed directly to each plant rather than sprayed across a wide area. Other water-saving irrigation methods include adjusting sprinklers each season or installing rain sensors that shut down sprinklers during or after rain. There are also automated irrigation controllers available that tap into state-wide climate data and calculate the necessary amount of irrigation water. Plant-Zone Balance: Every yard includes zones where the sun and shade differ throughout the day. As a designer, I like to map out these different “hydrozones” and recommend plants that prefer those specific environments. For instance, I would recommend sun-loving drought-tolerant plants for areas of the yard that get a lot of sun and heat during the day. 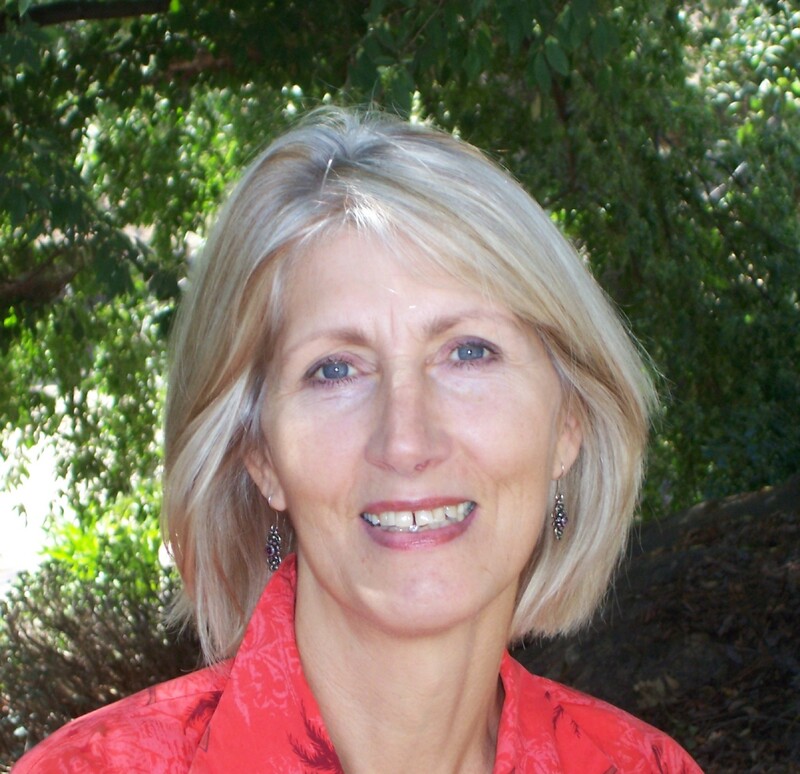 All-in-all, xeriscaping is an important part of what I do as a landscape designer. 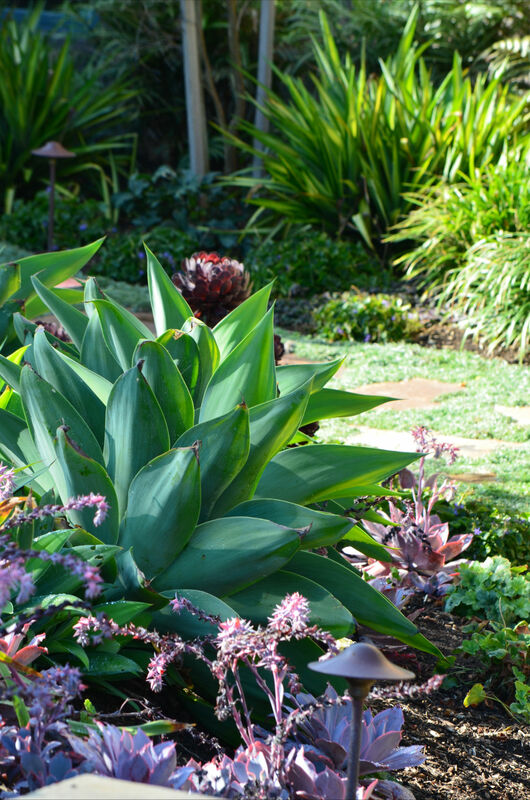 It feels good to put together gardens and yard designs that honor Southern California’s dry environment and help protect our precious water resources.